The only way to protect Poland from Islamic terror attacks is to not allow Muslims to migrate en masse, a British-born, senior MEP for the nation’s ruling party said on Monday. “When it comes to reducing the chances of Poland being hit by [Islamist] terror attacks, the only proven method is to not allow in Muslim migrants,” Ryszard Czarnecki told local radio after an attack in London on Saturday killed seven and injured at least 48 others. 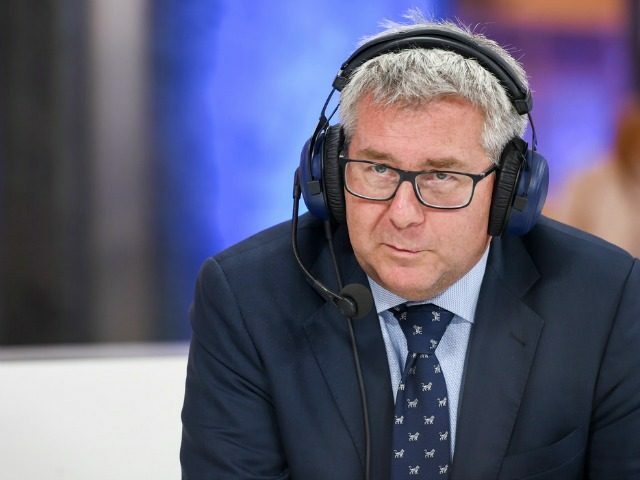 Asked whether he thinks the politicians running Poland have any good advice on how to avoid terrorism for Britain, which has experienced three Jihadist attacks in three months, and other countries in Western Europe, Czarnecki said the country has “a very specific concept — no Islamic immigrants. “Fortunately, Poland does not make these mistakes that other countries have made when it comes to our immigration policy, and so we don’t have these headaches,” stated the MEP,who sits on the European Parliament’s foreign affairs committee. Speaking in Poland’s parliament at the end of last month after a terror attack in Manchester claimed the lives of 23 adults and children, including a Polish couple, Prime Minister Beata Szydło condemned the “political elites” of Europe and warned the continent must put in place “strong politicians” who are willing to tackle terrorism. Speaking of the need to act, Szydło said: “Where are you headed Europe?… Rise from your knees and from your lethargy or you will be crying over your children every day. The PiS premier’s government is currently fighting European Commission plans for every member state signed up to the Common European Asylum System to take in a quota of migrants currently living in Greece and Italy. Reacting to the European Union’s (EU) setting of a June deadline, by which Poland and Hungary must welcome immigrants or face sanctions, Interior Minister Mariusz Błaszczak insisted that asylum seekers from the third world would inflict damage to the Central European nation “much worse” than could any punishment from Brussels.